I don’t know about where you live, but it gets really hot in Missouri in the summer. When it’s easily 101 every day for a week, I don’t want to eat anything to hot or too heavy. So since my family eats pasta like it’s a religious rite, I had to find a way to make pasta not too heavy and not too hot. It seems pretty simple in retrospect, especially since I always eat a vegetable directly in my pasta anyway. So skip the marinara and let’s get started. First, gather your ingredients. You’ll need whatever pasta makes you giddy. I like to use spaghetti, but any shape will do. You’ll also need olive oil, fresh garlic, tomatoes (preferably grape, but I used Roma), asparagus, peas, Parmesan cheese, and mozzarella (preferably fresh). This is not pasta. This is asparagus. Start by putting your pasta on to boil on a back burner. Then chop your garlic finely and sautee it in the olive oil. I used about three tablespoons of oil, but the ratio will depend on how much oil you want on your pasta and how many people you’re feeding. Be careful not to overcook the garlic and burn it. If you burn it you’ll have to start over. While they’re getting to know each other, chop your tomatoes. If you’re using grape tomatoes you’ll only need to chop them in half. If you’re using anything larger you’ll want to dice them. Once the water for the pasta boils, put the pasta in. 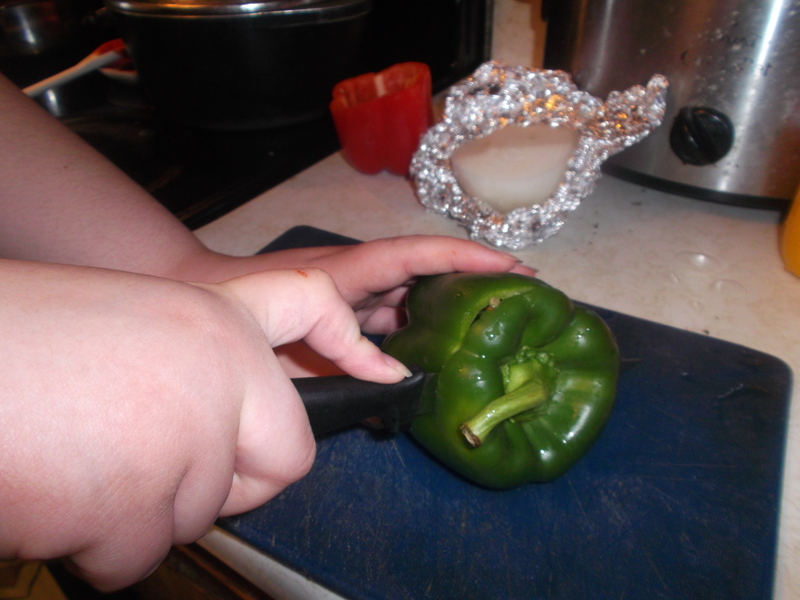 Then put on water for your other vegetables. I would cook the asparagus and the peas separately, but you can cook them together. I like to cook my asparagus until it’s pretty soft. I boil peas for about 5 minutes, and asparagus about 10 minutes or until I’m tired of waiting. Whichever comes first. 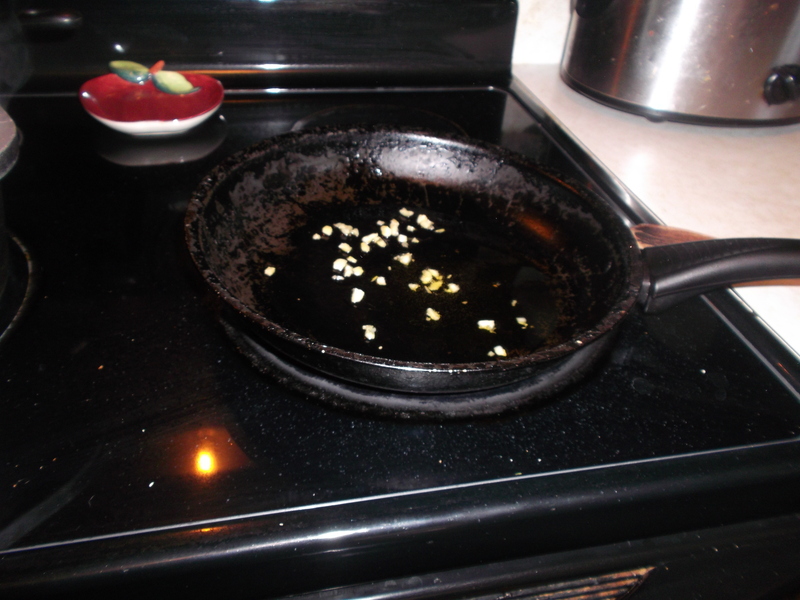 Sauteeing garlic. Mm mm mm. Check on your garlic and oil. If you’ve burned it, that’s okay, start over. If not, toss in your tomatoes. Let them warm and get slightly browned. Once that’s done, pull them off the burner and dump the mixture into a bowl. When your asparagus and peas are cooked, strain them and put them in separate bowls. Or the same bowl, whatever. Let your pasta cook until you’re ready. I like to keep them al dente, but not everyone does. While the pasta is cooking, slice your mozzarella. I left mine in round slices, but you could chop it smaller or dice it. It really ought to be a rule for my recipes that you do what works for you. Or as my little would say, you do you. Now that everything is ready, it’s time to put them together. 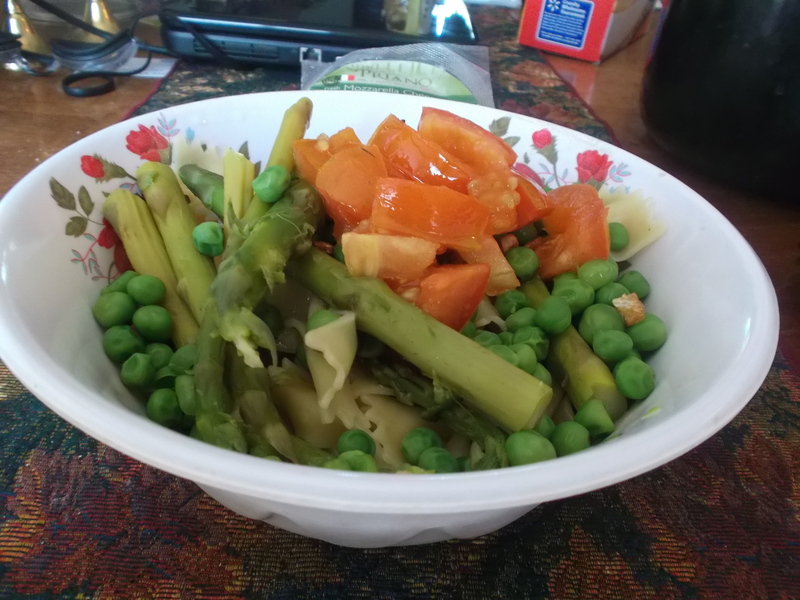 Fill the bottom of your bowl with pasta, then add the amount of asparagus and peas that you like. I recommend putting your Parmesan cheese in now. 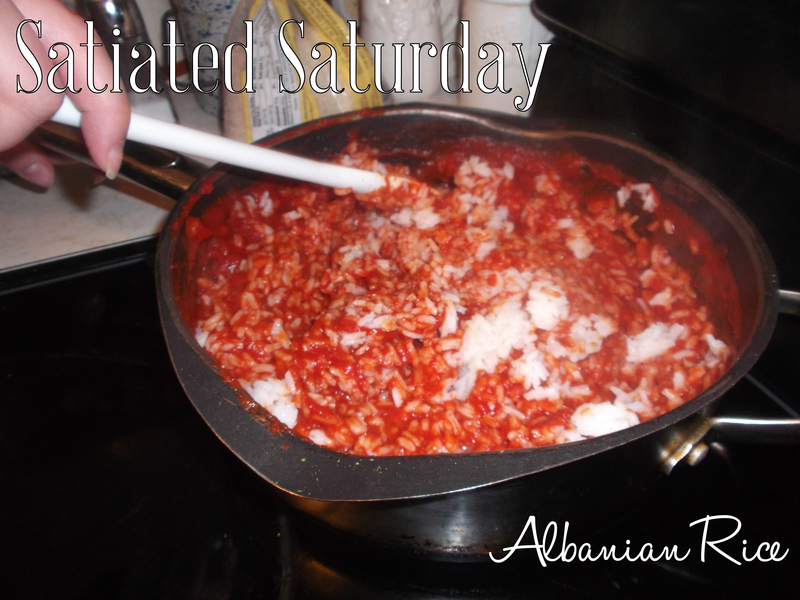 Then add your tomatoes, and top with your garlic olive oil. Toss together so that the olive oil coats the whole dish. Then either place your cheese slices on top, or toss in your cubed cheese. Let the cheese melt a little, then nom at will. When I was a kid I didn’t come home to mom making cookies. When we made cookies together they were from a package. I didn’t even encounter homemade cookies until high school, when my friend’s mom taught me to make chocolate chip cookies. As much as I like chocolate chip cookies, I later discovered oatmeal chocolate chip cookies, and a new love affair began. 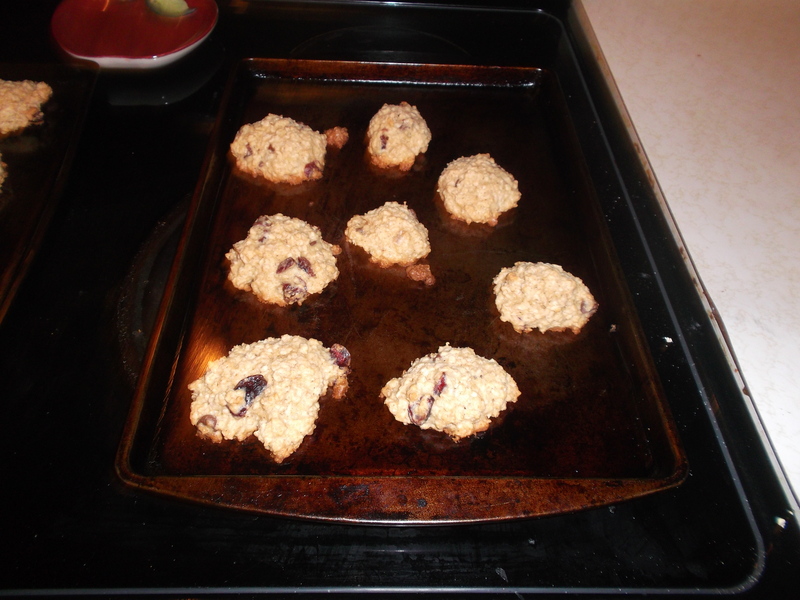 The oats change the texture so completely that it’s a different type of cookie. 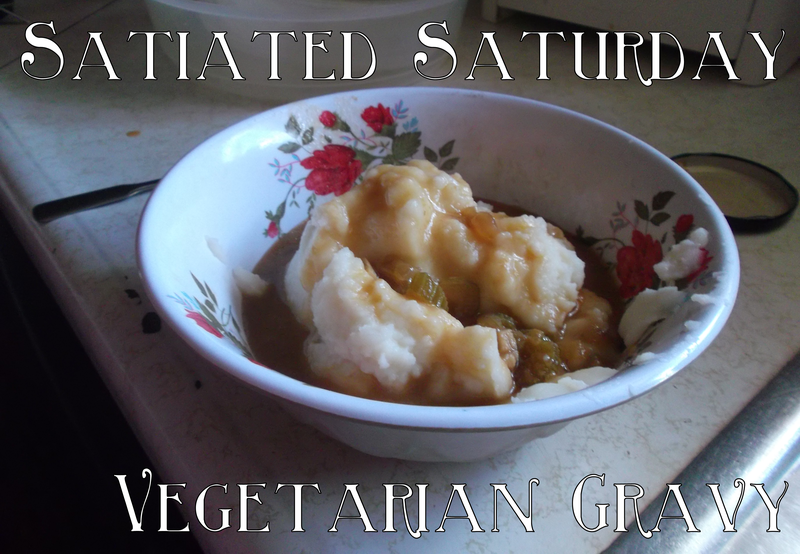 I’ve finally found a recipe to make them from scratch, and I’m going to share it with you. The recipe is adapted from a recipe in the book What’s Cooking Baking. 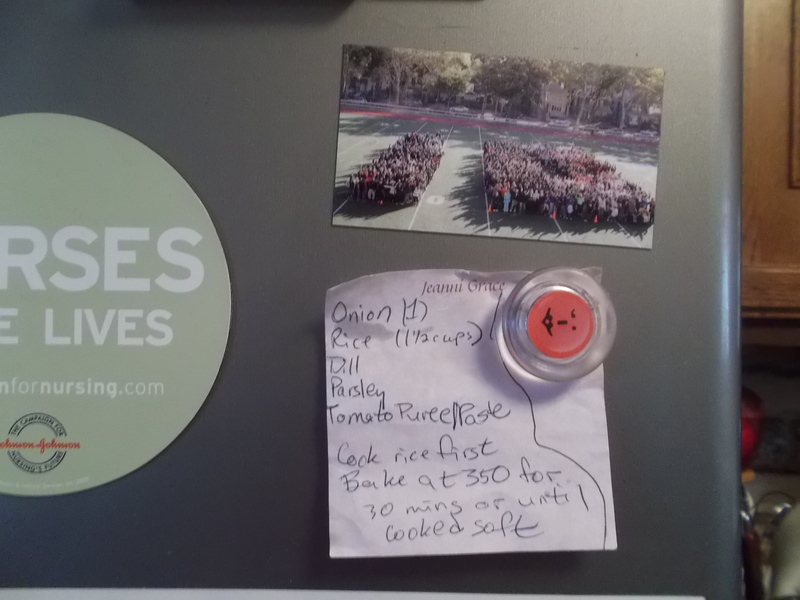 I never use recipes as they’re printed, so I had to change some things. Here’s the recipe as I used it. Everyone’s preference for how many chocolate chips they want is different, so I always leave that bit open to interpretation. I used about half a bag when I made plain oat-chocolate chip cookies. When I used craisins I added about ¼ bag of chocolate chips, and about the same amount of craisins. You could probably put in whatever kind of dried fruit you want. Before you do anything, preheat your oven to 350 degrees. You probably also ought to grease your cookie sheets. Don’t worry, I’ll remind you again later. First, you want to melt your butter. You could soften it, but I always melt it. Then, in a medium sized bowl, add your sugar and cream them together. If you like the flavor you could even add some brown sugar in place of some granulated white sugar. I don’t like the taste, so my cookies are brown sugar free. Mix them until it’s creamy and light. 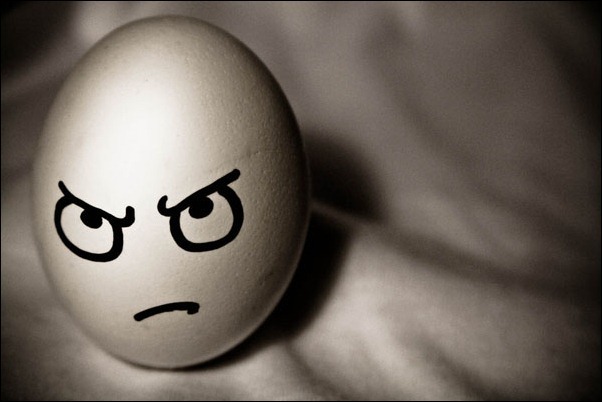 In a separate bowl/cup beat your egg. Beat it like it tried to kick your dog or pee in your cornflakes. Once you’ve beaten it into submissions, assert your dominance by pouring it gradually into your creamed butter/sugar mixture. Then beat it again. Just for good measure. (Also to make sure it’s well incorporated). Add the rest of your dry ingredients (flour, oats, salt, baking powder) and mix together. 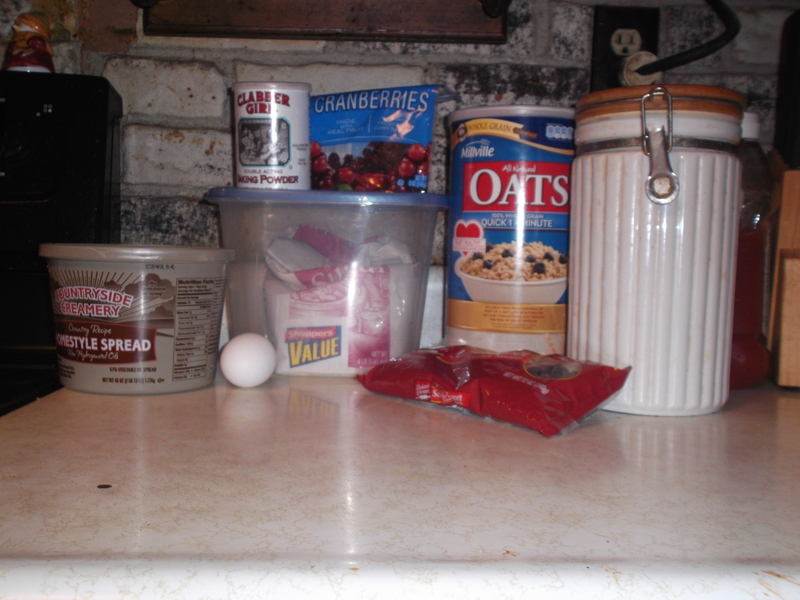 Before it’s completely mixed, add chocolate chips and dried fruit. 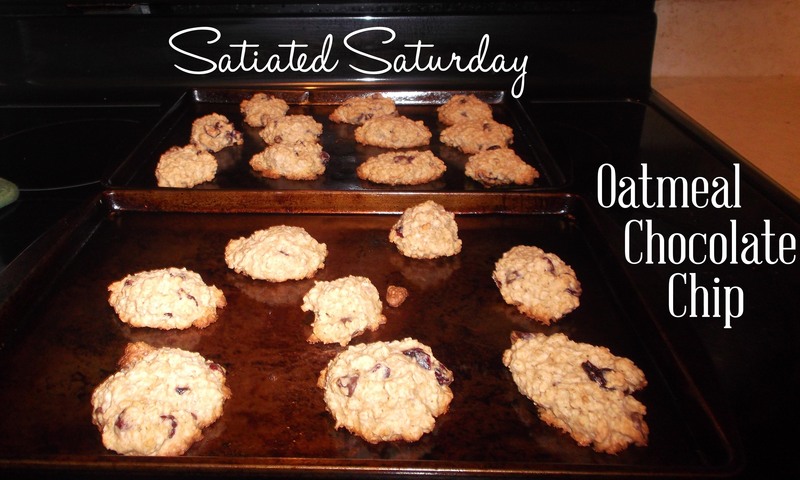 Start with half a cup of oats and go from there. Every mixture is going to be slightly different, so if yours seems well oated at ¾ cup, that’s fine. I used wheat flour because that’s what we had at hand, but regular all-purpose would probably be a little better taste-wise. I’m also very sensitive to the taste of flour, so it’s going to be different if you’re not. (I said this to my friend Hannah once who’s got celiac disease, and she turned it around on me with “Yeah, me too.” I miss her). As far as dropping the cookies, I use a small melon baller/ice cream scoop. It takes a bit less than ¼ cup of dough. Before you drop any cookies, make sure you grease your cookie sheets. If you don’t grease them you’ll have to wrestle them off the cookie sheet like Hercules wrestled the Nemean lion. So grease your cookie sheets. Make sure you leave enough space between them for the cookies to spread out. Bake them for about 15 minutes, but check them at 13 and remember that they’ll keep cooking a bit after you take them out. This makes about a dozen and a half cookies. Let them cool, and then nom at will. These were a big hit at my library’s luncheon recognizing the former director (who worked at our library for 40 years!) with all the volunteers and library staff. They were also a hit with my family, who ate pretty much all of them within a week. If you make some, tweet me a picture! Brussels Sprouts are another vegetable I simply didn’t get into until fairly recently. Just like eggplant. But now I’ve that discovered just how delicious they are, I’ll never miss a chance to make them. To begin with, gather your ingredients. 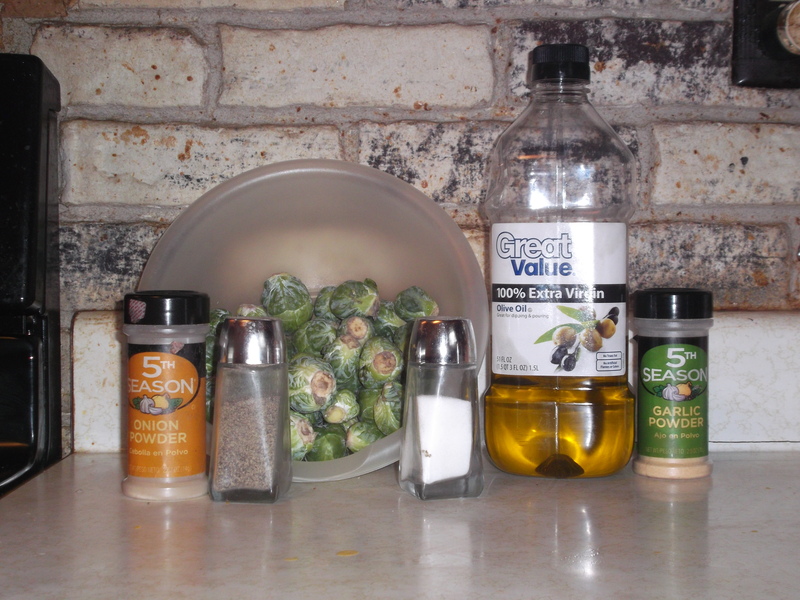 You’ll need about a pound of brussels sprouts, olive oil, garlic powder, onion powder, and of course, salt & pepper. 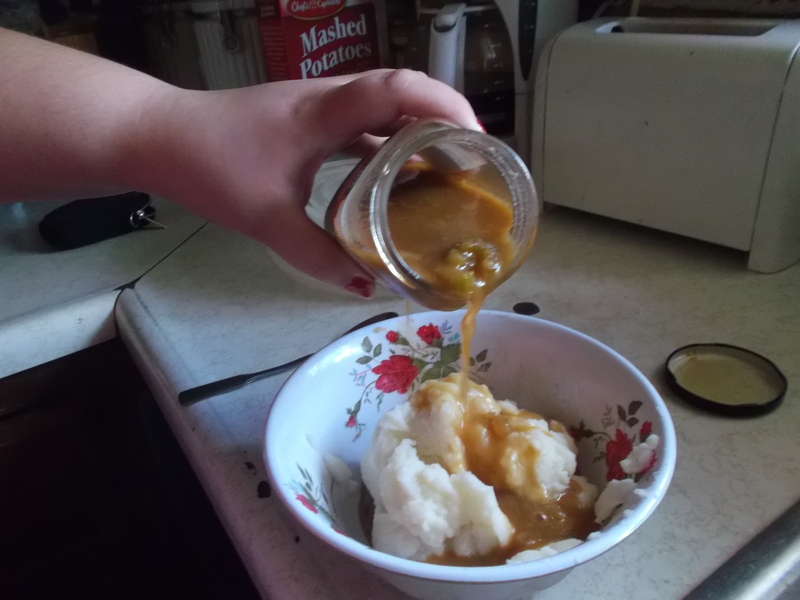 (Somehow, I only took pictures of the ingredients. Oops). Now, preheat the oven to 350. Take a bowl and toss your sprouts in olive oil. You can also do this in a ziploc bag. You don’t want them drenched, you just want them coated in olive oil. 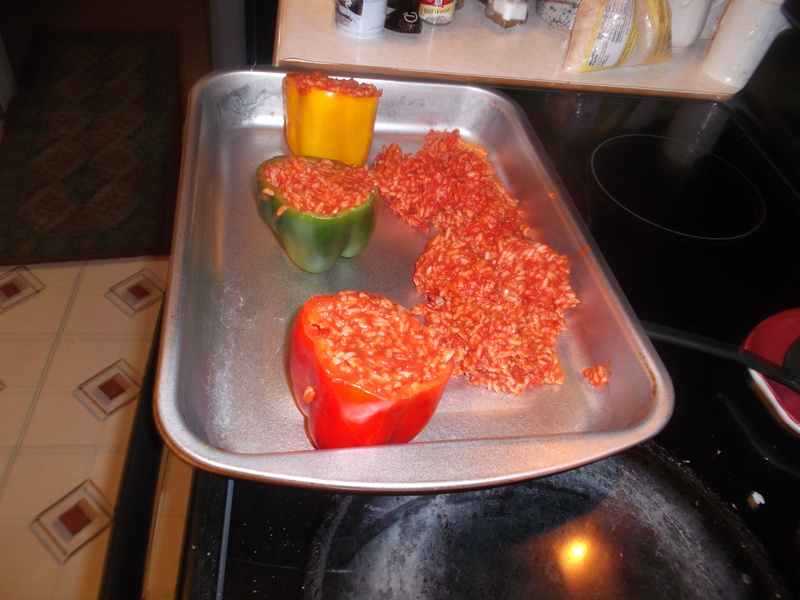 Then, sprinkle the seasonings to your heart’s content. Just make sure you don’t overdo it. Get a roasting pan or a cookie sheet and lightly grease it with olive oil or cooking spray. Or coconut oil if that makes you giddy. In your pre-heated oven, roast your sprouts for 20-30 minutes depending on how firm and browned you want them. There are lots of ways to cook brussels sprouts, but this is my favorite. I hope you all enjoy it. I like to pair them with pasta or a salad, but a rice dish would also be delicious here. Whatever you pair them with enjoy. Nom at will. 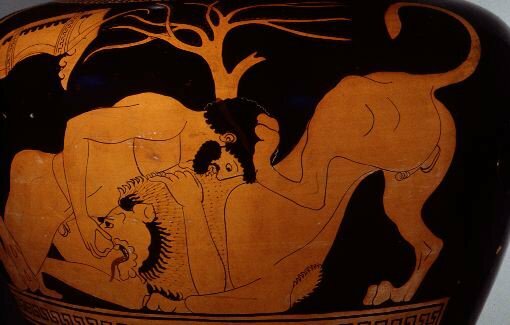 Early in my junior year of college I introduced two of my friends at a game night. They became running buddies, and over their many runs together they fell in love. He, Ian, lived across the hall from me, so we, along with my roommate, spent a lot of time together. I watched their love bloom, and then I watched it take what I feared would be an ending hit. She, Jo, studied abroad in Belgium, and he moved to Montreal to transfer schools. Despite this distance (which I know from personal experience can be a relationship killer), these two are still together. A year and a half later, two valentine’s days later, a dozen trips to Belgium, DC, and Montreal later, and they’re still together. They’re still happy. This past year, my senior year, Ian came from Montreal to stay for a week. It was wonderful for me as a friend because I hadn’t seen him in nearly a year, but it was even more wonderful as a friend to watch them together. The simple little ways that love shows itself between two people. The little touches, the unconscious gestures, the way they looked at each other, and spoke in half sentences because each knew what the other was thinking. When he came to visit Ian and Jo had a little dinner party and Ian made simple French Onion soup. It was divine. So when I decided to challenge myself with a soup I’d never tried before, I knew exactly what soup to make. As I caramelized my onions, I was transported back to my friend’s small apartment, her tiny dining room table, and the wine and conversation that flowed. The smell of the soup wrapped me in the same feeling I got with my friends. Happiness because they were happy, pride because I had introduced them, and love, because sometimes friends make the best family. Whenever I make this soup I’m going to be enveloped in the feeling of being with friends, especially a friend I don’t see often, and a family I made for myself. Start by chopping your onions. 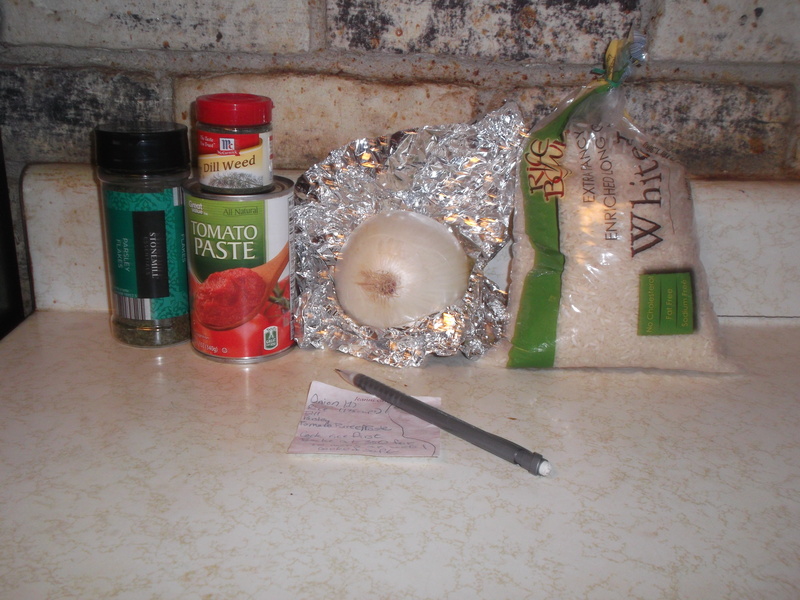 I used several slices of each onion, one red and one white. I know lots of people don’t like to mix their onions, but I prefer the mixed flavors. Let the onion flavors mingle. They’ll give you deliciousness if you give them freedom. Also, try not to cry while chopping these onions because if you do, you’ll walk out of the kitchen and your family will be very concerned for your mental health; I mean, really, you’ll have just walked out of the kitchen, after being silent in there except for camera flashes and knife chops, with tears on your face and in your eyes. It’s awkward. 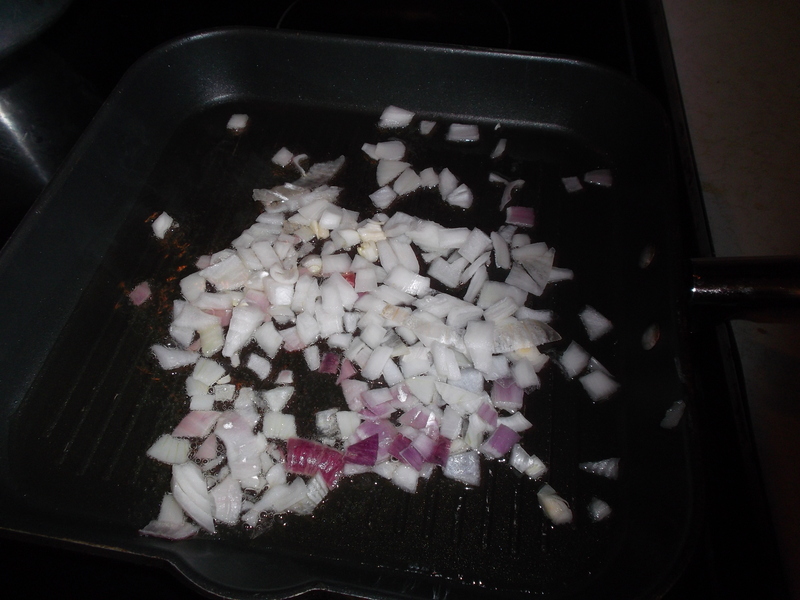 Once you have your onion chopped, toss it into a pan with some olive oil. Saute them on medium heat until they’re brown and the smell is overwhelming. If you didn’t chop enough, add more. 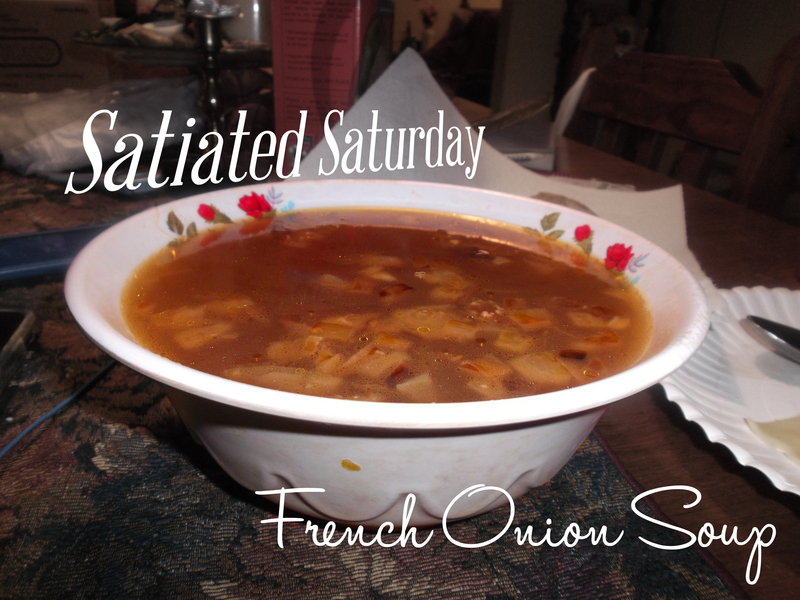 While your onions are sauteeing, which will take a fair few minutes, get a pot and your vegetable broth. If you’re using stock, get stock and a cup or so of water. Both broth and stock usually come in 32 oz containers, so we’ll use 32 oz as a guide. 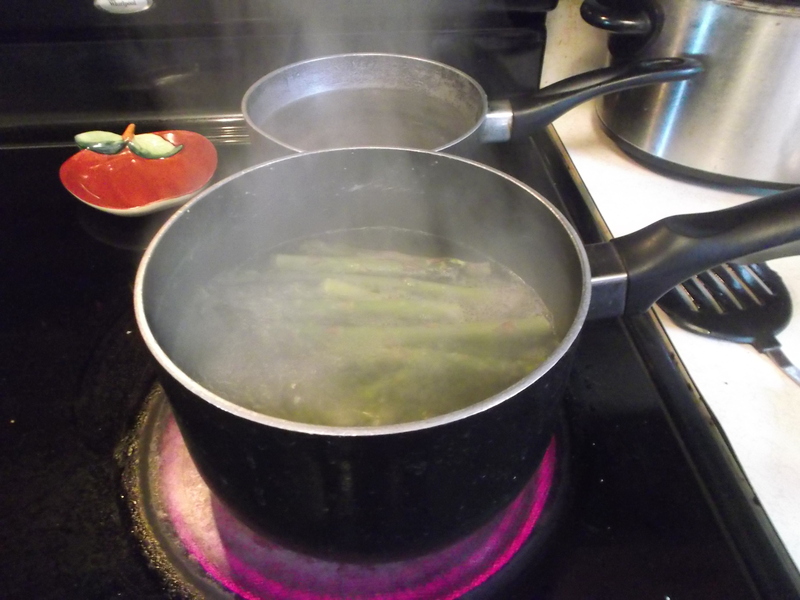 Throw that broth/stock-water in the pot, and set it to simmer. Give those guys some time, and use that time to do something for yourself. I cleaned out the bottom of my fridge. It was nasty. Once the onions are sauteed, pop them into the pot with the broth/stock-water. Turn the heat up some to a medium high. Now, rip up some swiss cheese. I used pre-sliced swiss cheese and just ripped it into shreds. 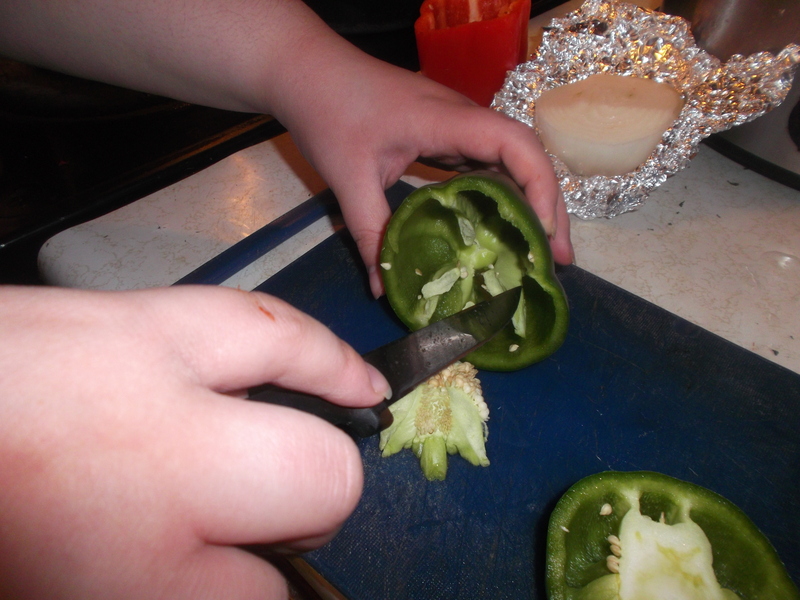 You could also use a block and shred it or slice it from the narrow end. About ⅓ of your swiss cheese should go into the pot. 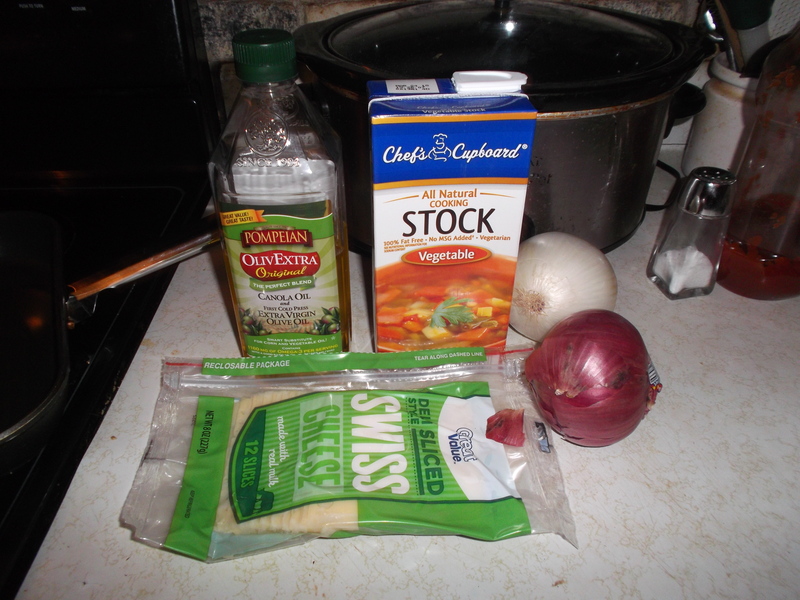 Save the other ⅔ so that you can put it on your cooked soup when it’s done, it will be delicious. Let it all cook for something like 20 minutes. To be honest, I rarely time anything I cook, I just go until I can’t stand to wait anymore. Sometimes this results in delicious perfectly timed soup; sometimes this results in undercooked pasta with still-chilly peas. Life is an adventure. When you get your soup cooked and cooled enough to eat, ladle some into a bowl, add some Swiss cheese shreds, and nom at will. The cheese you added before will have melted and spread flavor, leaving just some small balls of cheese that wouldn’t melt. This soup is excellent with Italian Bread like the kind I wrote about last week, but would also be delicious in a bread bowl. Tell me what you have with your soup in this cold, cold winter.